Do you still produce/sell/ship Triathlon Bike Racks? Yes. Please look over our web page for information regarding the racks and email us for shipping quotes and lead times. 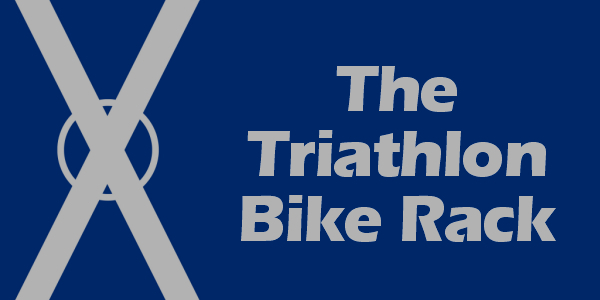 How much does the Triathlon Bike Rack cost? Is there a quantity discount? View the front page for a list of current prices. Quantity discounts are available. Contact us for the price of custom racks. Prices may be subject to change. Freight, shipping, or delivery cost are additional. Transactions that take place in Florida may be subject to sales tax. Please contact us for a freight/shipping/delivery quote for all products, scheduling, timing or more details. When contacting us, please include the rack type/model, number to order, and adddress for delivery. Thank you for your interest and we look forward to meeting your racking needs. Why does the TBR-8 need to be shipped by freight? Why a minimum order of 10 x TBR-8? The original Triathlon Bike Rack (TBR-8) is 10 feet long. Because of this length, it cannot be shipped by regular ground shipping. It must be shipped by freight carrier. Freight shipments require a minimum charge. The amount of this minimum charge usually necessitates an order of at least 10 x TBR-8 racks to make the order viable. If you need less than 10 racks, the TBR-K or TBR-6 versions of the rack are generally better and less expensive choices. What is the difference between the original Triathlon Bike Rack, the Triathlon Bike Rack - Short, and the Triathlon Bike Rack Kit? Which rack is best for me? The original Triathlon Bike Rack (TBR-8) and the Triathlon Bike Rack - Short (TBR-6) have the holes for the legs integrated into the main beam. These are complete racks, with all components included. The TBR-8 is 10 feet long (120 inches), while the TBR-6 is 8 feet 8 inches long (104 inches). When you purchase these versions of the rack, you receive 1 main beam and 4 legs, per rack. The Triathlon Bike Rack Kit (TBR-K) is a modular version of the rack system. The TBR-K is not a complete rack. A kit consists of the same 4 legs as the original, but also includes two Bracket/Couplings that attach to the ends of a main beam that the customer procures separately. The Bracket is a short section of tubing that has the holes for the legs integrated into it. The kit was developed to provide an easier and less expensive shipping option for those who only need a few racks (usually less than 10). The Kit is a "Do It Yourself" version of the rack. Each rack system essentially functions in the same way. The biggest difference (outside of shipping options and cost) is that the Bracket/Coupling of the Kit is a little wider than the main beam and is attached to the main beam with set screws. This makes the kit a little harder to stack, store, and transport, in comparison to the original rack or short rack A kit rack is just as sturdy as an original or short rack. The extra effort needed to deal with the width of the coupling and set screws multiplies with the more racks you have. For those who put on large races or use racks very often, the original rack is most likely the best option. The Triathlon Bike Rack - Short (TBR-6) was developed to give customers another rack option, that is easily able to be shipped (via regular ground) and is as easy to stack and store as the original. It is primarily for customers who do not need very many racks, do not want to acquire additional rack components, may not want to assemble the Kits, or do no want to arrange for freight, pick up, or delivery of the original racks. The short rack also is a good choice for valet bike parking where the same 8 bikes, or heavier bikes maybe racked in a smaller area. Unlike triathlon, bike valet does not need ample room for athletes to race and perform transition tasks. The legs for the short rack produce the same main beam height as the original or kit rack (44 inches), but have less leg above the main beam. These legs are referred to as "short top" legs. The racks are made from galvanized steel tubing. Galvanized steel is readily available, weather/rust resistant, strong, and cost effective. Many people ask why the racks are not made of aluminum, plastic, PVC, titanium, carbon fiber, etc. These materials either do not have enough strength to hold the weight of the bikes, or are much more expensive for the amount of material necessary to hold that weight. Where can the racks be placed? On what kind of surfaces can the racks be used? The racks must be used for the purpose and employed in the manner for which they have been designed. The design of these racks allow for them to be used on the following surfaces: dirt, grass, gravel, asphalt, and rough concrete. Because of the need for the legs to have a surface in which to bite, the racks are not designed to be used on a smooth surface. Painted concrete, smoothly screeded concrete, tile, smooth rock, wet surfaces, or other slick surfaces are not ideal. The racks are designed to be utilized on level ground. The racks are not be used on ground that is of significant slope. What is the height of the rack? Can you make custom height racks for youth bikes? Legs for the TBR-8, TBR-6, and TBR-K models produce a main beam height of 44 inches. The TBR-X has legs that produce a main beam height of 42 inches. Custom legs can be made to produce a variety of main beam heights for the racks. No, you do not to have to drill any holes. All of the racks come with the holes for the legs already integrated into the metal, at the proper angles. Assembly of the TBR-8 and TBR-6 simply requires sliding the legs into the holes. The main beam rests on crimps on the legs. The TBR-K requires some initial assembly that the TBR-8 and TBR-6 do not. Once initially assembled, the TBR-K rack functions identically to the TBR-6 and TBR-8. What exactly are the main beams I need to complete my Kit racks and where do I find them? When you purchase the Triathlon Bike Rack Kit (TBR-K), you will need to separately acquire your own main beams. The main beams are 10 foot lengths of 1 1/2 inch Electrical Metallic Tubing (EMT), also called thin wall conduit. 1 1/2 inch is the trade size. The key dimension to be aware of is the outside diameter of the tubing, which should be 1.74 inches. You do NOT want rigid conduit. You do NOT want top rails for chain link fence. The main beams are readily available at most any home improvement or electrical supply store (Lowe's, Home Depot, Menard's, CES, HD Supply, etc.). You may also want to check with your local electrical supplies distributor/wholesaler. They may have better available quantities and price. I want to order the TBR-KB or TBR-KBC. Do I have to make my own legs? How do I do that? When utilizing the TBR-KB or TBR-KBC to produce a rack, you will need to source your own main beams, as well as source and make your own legs. You will need to be competent and comfortable in the production of the legs. The proper production of a stop on the legs is critical to the stability of a rack. While there are many methods of producing a stop, we utilize a crimp and believe that is the best method. The legs are made from 5 foot lengths of 1/2 inch Electrical Metallic Tubing (EMT), also called thin wall conduit. When you order the TBR-KB or TBR-KBC, included will be a set of instructions explaining a simple method for producing a crimp on the legs. Is there a discount for non-profit or charitable organizations? The vast majority of our customers are involved with a non-profit or charitable organization. There is no discounted price at this time. Can the Triathlon Bike Rack be rented? What is the cost of rental? For many years, we have rented racks to events and event managers. We charge $10 per original Triathlon Bike Rack (TBR-8), per event, plus sales tax (if applicable). Availability of racks is variable, depending upon what other events we have using the racks at the time. The person or organization renting the racks is responsible for pick up and return of the racks, or we can provide delivery/pick up for an additional fee. Because of this, most rental is local and within close proximity to us. We are located in Florida. We also time/manage races and often include racks in the package of a timing/management contract. Contact us for more details on the timing and management of your next event. I have an event with X amount of athletes. How many Triathlon Bike Racks do I need? How much do you want to spend on racks, how much weight do you want to haul, and how much room do you want the athletes to have on the rack and in the transition area? The TBR-8 and TBR-K both rack a maximum of 8 bikes, while the TBR-6 racks a maximum of 6 bikes. These numbers are primarily based on the needs of a triathlon, as opposed to a bike valet, or other temporary bike parking situation. Because of space limitations within a triathlon transition area, it is important to ensure the athletes have the room to race. You can't have bikes too close. This situation doesn't apply to valet bike parking. In most other temporary bike parking situations, you want to rack as many bikes as possible, in as small of a space as possible. The number of bikes racked is also based upon the weight capacity of the legs. The basic guideline is that legs can handle the weight of 6 racing bikes and 2 mountain/hybrid/cruiser bikes, for a total of 8 bikes (this is a rough average of bikes in a triathlon). Many customers choose to rack less bikes than the capacity of the rack, in order to give more room to athletes in a triathlon transition area. The weight capacity is the same for the legs of the TBR-6, since they are made of the same materials. So, if you exclusively rack mountain/hybrid/cruiser bikes, the legs are limited to the capacity of 6 bikes total. This is the reason why many bike valet customers choose to purchase the TBR-6, or utilize the TBR-K with a shorter main beam. We can also make custom racks that have even shorter main beam length. The racks have a warranty against manufacturing defects, for a period of 30 days from the date of purchase. If a fault in the manufacturing is identified, we will replace it free of charge. A manufacturing defect is anything that is deemed to be incorrect with the product at the time of purchase.